Technology can be your friend. If the Government is using drones for Aerial Reconnaissance, why wouldn’t we embrace technology to do the same thing? Performing Aerial Reconnaissance with Drones may not make sense in every situation. If you have no means to recharge the batteries then you probably won’t have a long term use for a drone, but what if you used that last fully charged battery, and it made all the difference? What good is a drone? Today’s consumer Drones can fly up to 1000 feet high and some can travel more than a kilometer away. Imagine how much intelligence you can gather using one of these tools. Imagine how you can turn the advantage in your favor just by having that eye in the sky, in so many situations. Let’s take this technology and use it for our advantage! Why would you want a Drone to perform Aerial Reconnaissance? I’m sure you can think of so many others. When I discuss these Drones there are 2 entry level models that stand out in my mind. AR Drone: Works with your iPhone, iPad or Android Device. It is controlled directly from these devices via wifi and streams the video directly to that phone or table. Receives 720p high-definition live video streaming to smartphone or tablet while flying. This is all you need to fly and do recon. The AR Drone is subject to wifi interference from neighboring wifeless networks and is not as fast or powerful as the DJI Phantom. Made mostly of foam with electronics embedded inside. 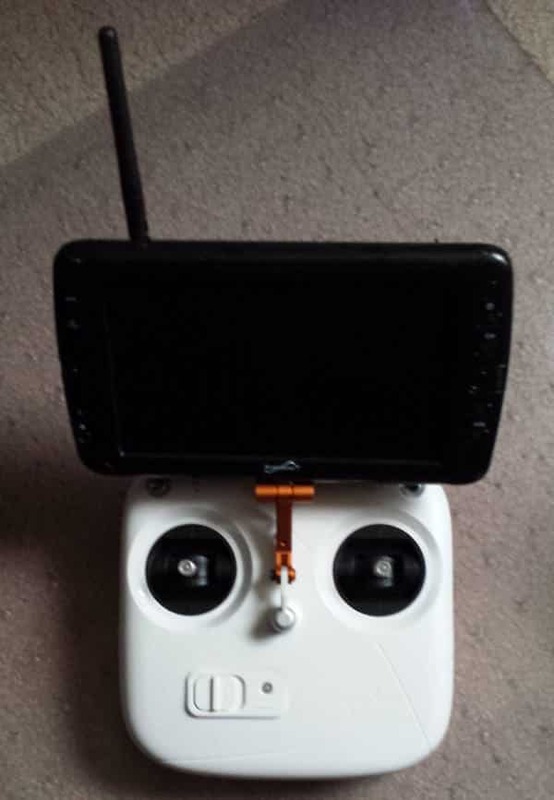 DJI Phantom: The Phantom uses a dedicated 2.4GHz remote and does not have an onboard camera. You must buy a camera, like a GoPro Hero, and use that. If you want to stream the video from the GoPro Hero, to a receiver, you’ll need a FPV (First Person View Kit, that runs on 5.8GHz). The good news is that the GoPro Hero is a very awesome camera and you can use it for so much more than just the drone. This drone is made of strong plastic and can take a beating. I once crashed it into the ground with the blades still spinning full speed. I was freaked out, but the blades were fine and they had carved up the earth quite well. Your milage may vary, if you crash yours. At some point in the last few years I have owned both of these drones. I used the AR Drone, with much joy for quite some time, but found that I wanted a more serious platform that I could take to the next level. When I realized that I wanted a more hobbyist grade platform, I upgraded to the DJI Phantom, and the GoPro Hero setup. Later I added the FPV kit, which has really taken it to the next level. I can fly farther, higher and longer with the DJI Phantom, and I can do cool things like checking my roof for damage, without a ladder. I also realized I could get my neighbors to pay me $50 to check their roofs and provide them with a digital video of it (I could do this with the AR Drone if I modded the front camera to point downward a bit instead of just pointing straight ahead). Scenario #1: There has been much unrest in your area and you want to make sure that your path is clear before vacating your current position. Scenario #2:You need to find some water now and can’t afford to waste time trekking in the wrong direction. This water is almost 3 miles away. Today I brought out the “Geek” in GeekPrepper. If you had the means to recharge the battery packs for the drones, like a simple solar setup , I could see the long term benefits of Aerial Reconnaissance with Drones. If you don’t have a way to recharge the batteries, a drone could make one last flight that may be a life saver! What are your thoughts on iPhone controlling? OpSec and all?? The AR Drone creates it’s own unencrypted wireless network, so essentially it’s a wireless access point that flies and has a camera on it. Based on my research it is vulnerable to de-authentication attacks (aireplay -0 deauth attack), this will de-authenticate your wifi controller (iphone, ipad, android, etc) which will cause your drone to lose control. Even without the de-authentication attack the video and signals will be available for intercept, in their unencrypted form. They are still fun to fly in normal situations and can capture some great video and views. In SHTF, with all things considered, it’s better than nothing, as long as you keep these facts in mind. Plain Edge or Serrated Edge for a Survival Knife?